Symphony, with Presto suite of Algo Trading Solutions, has been providing smart trading systems for many years now. 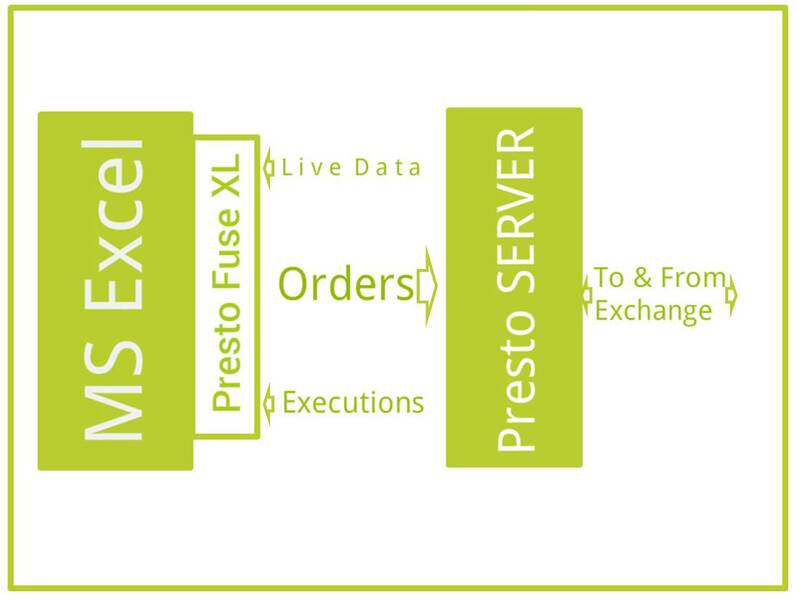 Presto Fuse XL, is for Excel based Trading Applications , where formula-tions/Macros via VB Scripting etc is used for generating signals. With Presto & via Symphony’s Partner brokers, trade in the LIVE as well as Paper Trading environment (Presto VirtEx). Execute orders in Multi Client codes with individual SL,PT,TSL etc. Use Live Broadcast Data into your Formulas/Macros and send orders to Presto VirtEx (Virtual Exchange) & get real-time performance reports with Paper Money to test your strategy before going LIVE. Can this excel work with other sites like ICICIdirect.com?